Once you’ve decided to glass the boat, a topic which is subject to great scrutiny across the forums of the DIY world, then you’ll have some aspects to figure out. 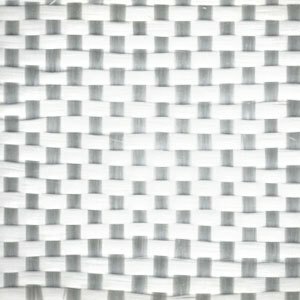 Firstly glassing differs from tape-seaming foremost by the amount of epoxy used, the kind of fabric to use, what to cover with glass and the large surface areas to be dealt with. As far as our experience tells, it all comes down to what kind of plywood you use: that is, the answer to the question whether to glass or not. The typical flat-bottomed “Jon boat” or a smaller dingy will require glassing on the bottom for protection from skidding damage and perhaps long-term delamination issues. That is pretty much independent of the plywood type. A coat on glass on the bottom of a plywood boat is rarely argued according to our research at least. As can be read from the other pages of this blog, we build with a boil proof Brazilian pine plywood. It was subject to boiling tests, from which no obvious material degradation occurred, still, it by far not a marine plywood, which, according to boat designer John Welsford, holds up very well in all sorts of conditions even without a glass coat. Glassing the Fafnir, per plans, is not mandatory. Yet we chose the cheap plywood and after discussion with our friend Raivo, a boatbuilder himself, decided to glass the whole boat inside out and have the plywood merely as a space filling material. This is called a composite build. Surface covering can be done with two materials: glass and polyester, the first of which is stronger, but more expensive. We glass our planks on both sides, but the interior is done with polyester, except for the floor, which requires higher resistance to wear. Polyester is a common flag cloth, which means that it can be obtained cheap if you phone companies which might have old flags lying around. We ended up buying polyester, since our flag-companies were not keen on sharing their leftovers. If you do happen to get some old polyester, simply give it a wash in the machine and it will be ready for work. Coloring does not matter really. Our friend gave us a good deal on glass cloth (again, means that it is good to talk to boatbuilders before you start buying stuff). It is good to have biaxial cloth, which is stronger than its woven counterpart. Woven cloth, image source Fibre Glast. As it happened our good deal brought us woven cloth. There is a good article here comparing the two fabric types. Further, we have a very dense fabric, over 400 grams per square meter, which means two things: it is stronger, but it also soaks up more glue. Wetting it out takes some patience and practice. We have used hairdryers to make the epoxy more fluid for it to soak better. Biaxial cloth, image source Viral Surf. stays in the cloth. What we found with this dense cloth is that it is good to wet out the wood before applying cloth to it. 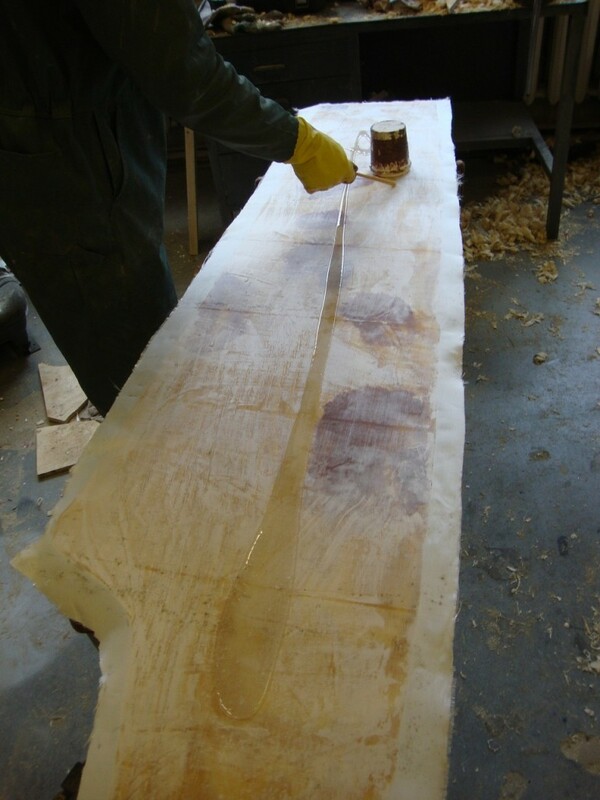 Then add a second layer of epoxy onto the glass once it has been put on the wet wood. For spreading glue we use plastic straight edge combs. We call this procedure, by no surprise, combing. According to literature, the first coat on the fabric needs to be thin, or combed out. Then add the second layer later, after the base has cured for some hours or so. Before the second coat, pop any bubbles with a knife and comb them out. For glassing one generally uses a clear epoxy with no additives. When the surface is rough.